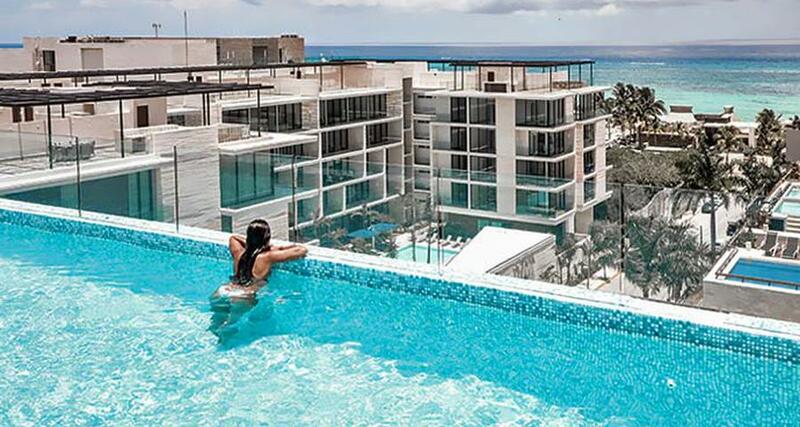 The Reef 28 is a luxury 5* adult only resort located in Playa del Carmen, Mexico. It features 120 rooms and swimming pools. All inclusive meal plans are available! The Reef 28 is an excellent option for those seeking a relaxing and entertaining vacation. Each modern guestroom is decorated in a contemporary style and features quality amenities along with the latest in technology. This All Inclusive Adults Only hotel has a rooftop terrace with a bar and an infinity pool that overlooks the ocean. Make the most of your trip to Playa del Carmen when you choose this hotel, which is strategically located near the beach and Fifth Avenue.